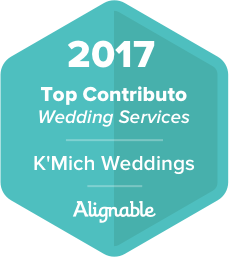 Home / wedding flowers / Wedding Ideas / How to Use Succulents in Your Wedding - 13 Fresh Ways to Use them, Now! 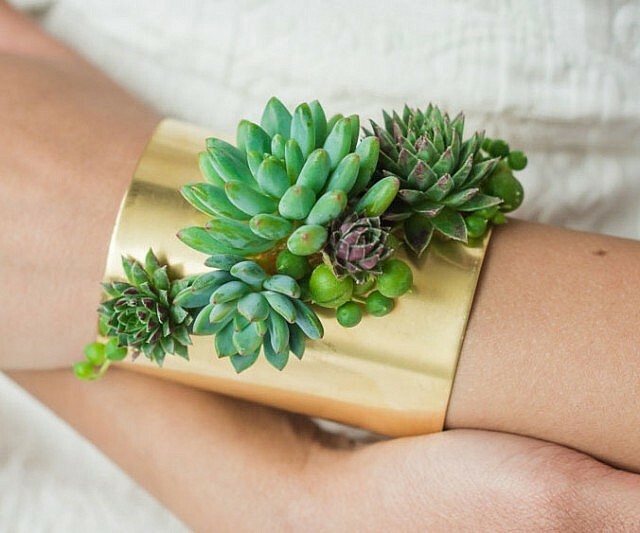 How to Use Succulents in Your Wedding - 13 Fresh Ways to Use them, Now! 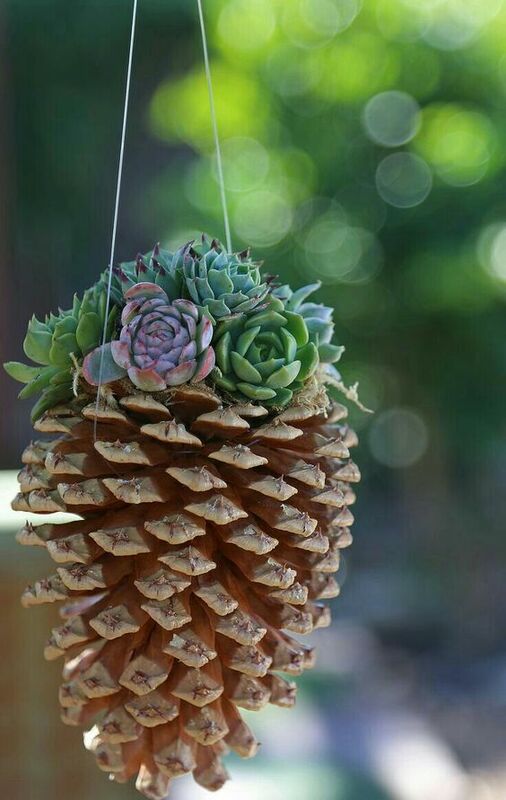 What are succulents? 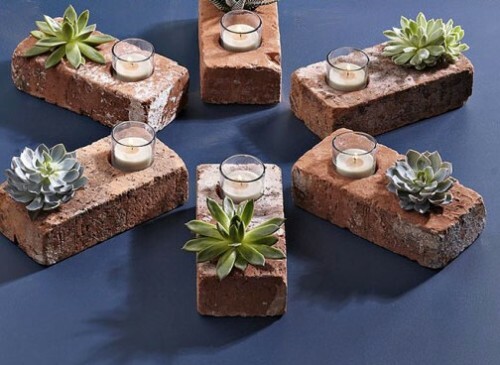 Succulent plants, also known as succulents, are plants that have some parts that are more than normally thickened and fleshy, usually to retain water in arid climates or soil conditions. 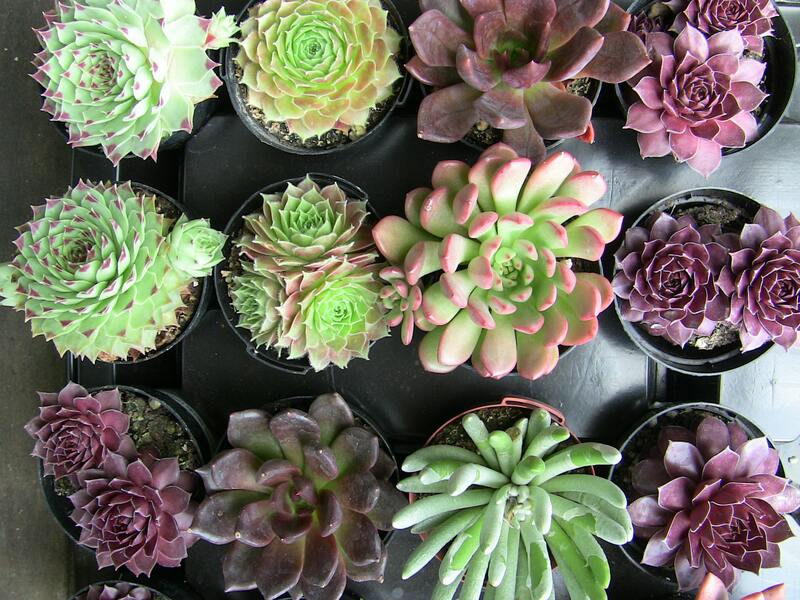 The word "succulent" comes from the Latin word sucus, meaning juice, or sap. 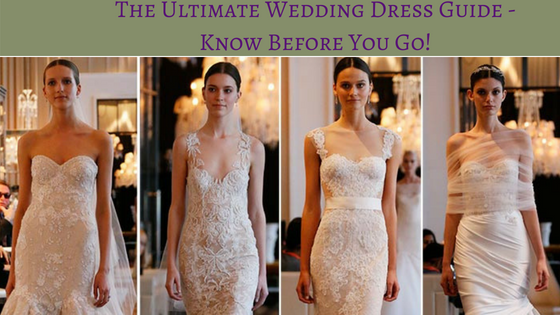 They are available all year round and very affordable! 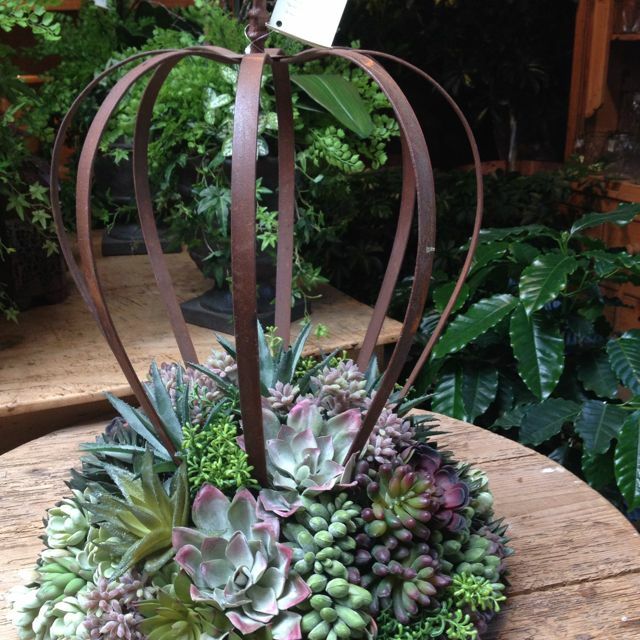 These hardy plants are pretty and blend well with all floral arrangements. 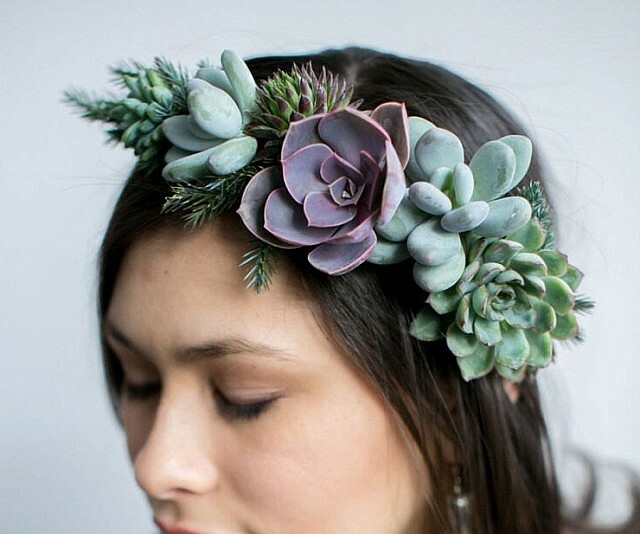 It could be their unique shape, their organic color palette, or their natural beauty… Whatever it is you are dreaming of, here are 13 fresh ways you can use succulents in your wedding. 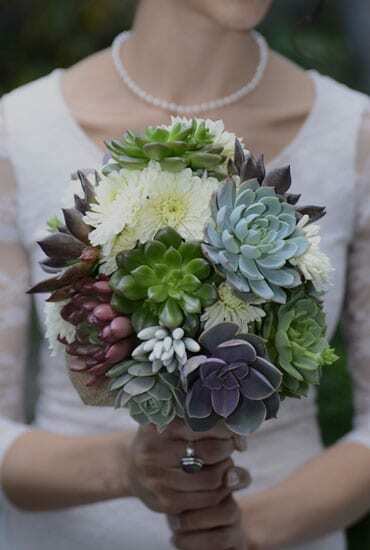 Greenery bouquets are definitely a hot wedding trend, so why not fill it with succulents in a variety of colors, shapes, and sizes. 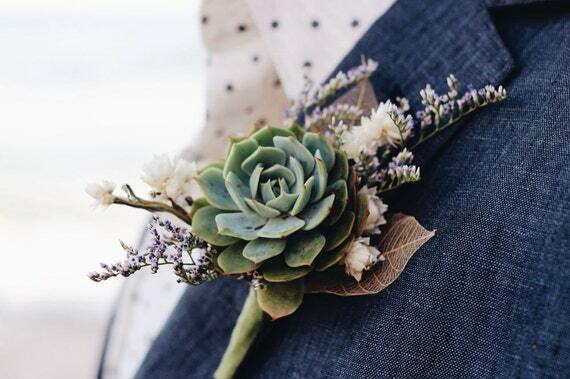 Add them to your bouquet, wrist corsage, necklace, flower crowns (for your bridesmaids), and boutonnieres! 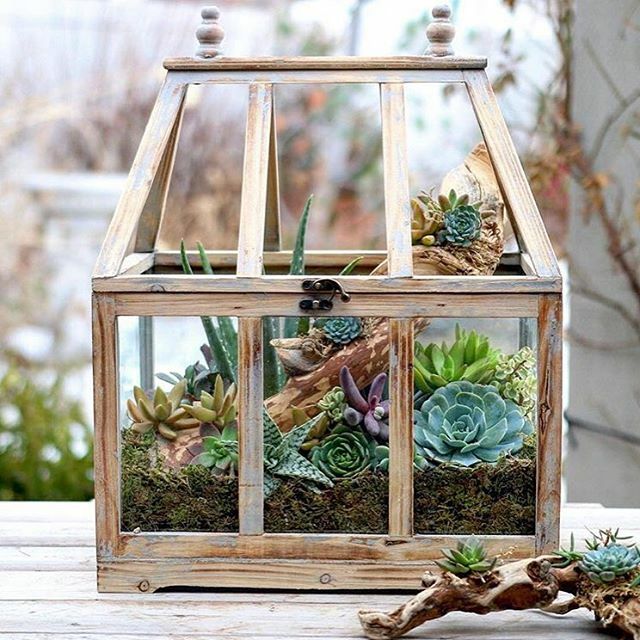 A rustic wooden greenhouse is a good container for a small succulent indoor garden! 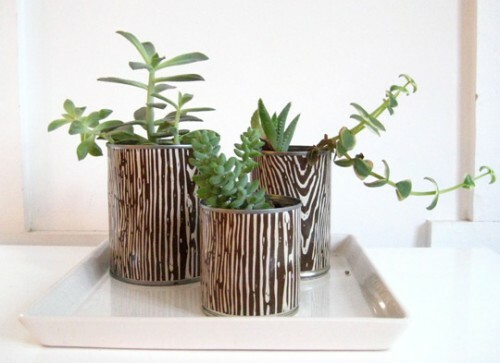 DIY Succulent Can Centerpiece - Upcycle those empty cans! 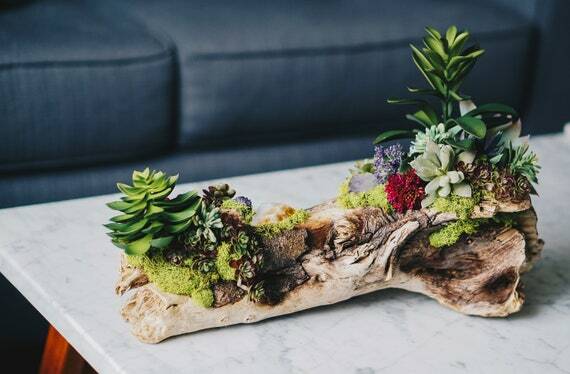 Succulents placed in driftwood to create a floral arrangement. 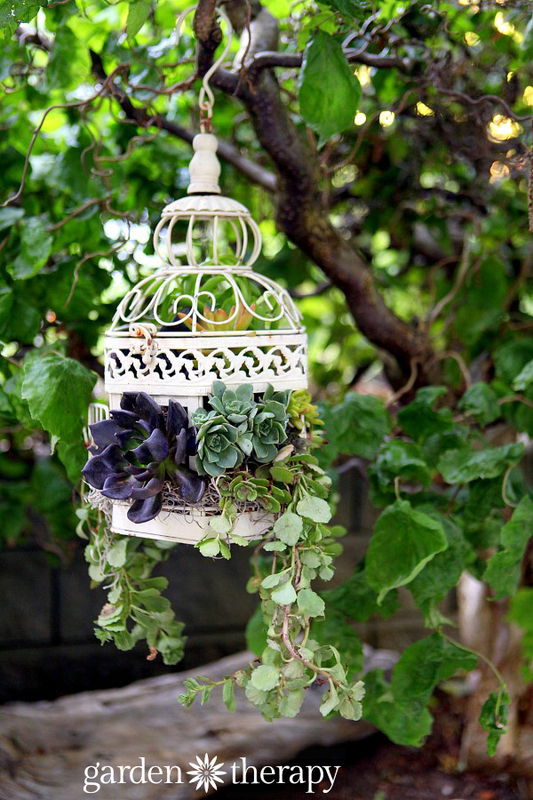 Rustic Idea - Turn a birdcage into a hanging basket planter with a few simple modifications and the addition of gorgeous plants! 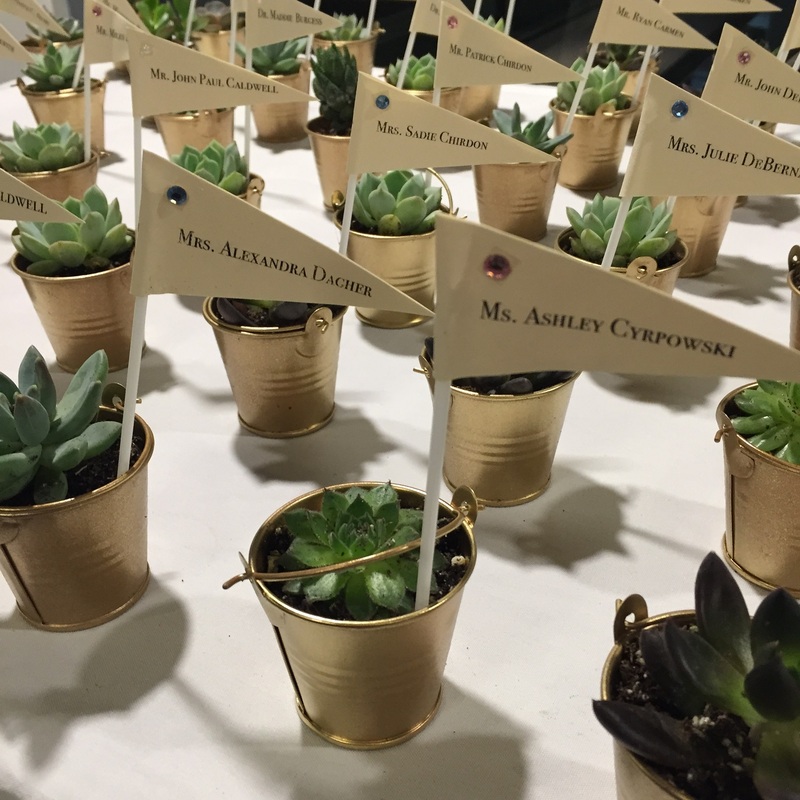 This idea does double work; shows guests their name and table number ( add numbers to the front of the container) and goes home with them at the end of the night (favor)!